Beth Dobbin during the women's 200m during day two of the Athletics World Cup at The Queen Elizabeth Stadium, London. 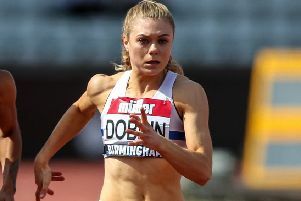 Beth Dobbin insisted her big-time debut in London tonight can push her to even greater heights after she claimed bronze in the 200 metres at the Athletics World Cup. The new Scottish record holder ran 22.95 seconds to finish behind the highly-ranked duo of Shericka Jackson and Jenna Prandini with the USA claiming overall victory in the inaugural edition of the event. 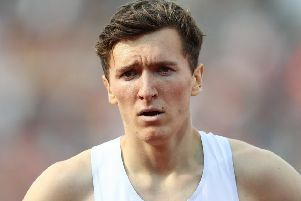 Meanwhile, Josh Kerr will be handed one more chance to steal a spot at the Europeans with the Capital starlet set for his Diamond League debut in London next weekend when he will take on middle distance rivals Charlie Da’Vall Grice and Neil Gourley with only one to land a start in Berlin.